First documented as early as 1906, Ballarat Choral Society has been a consistent part of Ballarat’s musical landscape since 1951. As a genuine community choir, BCS has an informal audition process, but also aspires to the highest possible standards of performance. Under the guidance of Musical Director Helen Duggan since 2008, the choir has steadily developed in both skill and confidence, and has an ever-increasing reputation and patronage. While the choir’s focus is classical, BCS also regularly presents programs which explore more contemporary and/or popular works. In just the past two years, BCS has performed Mozart’s Requiem in D Minor, Beethoven’s 9th Symphony and Handel’s Messiah, with collaborators such as Victoria Chorale, Ballarat Wind Orchestra, Ballarat Symphony Orchestra, and the Melbourne Symphony Orchestra and MSO Chorus. BCS has also presented programs of music ranging from Thomas Morley to Vaughan Williams, to modern Australian composers such as Iain Grandage and Stephen Leek. We aim to perform three or four concerts per year, and we rehearse on a Wednesday night 7:45-10pm in the Ebenezer Hall, 212 Armstrong Street South. 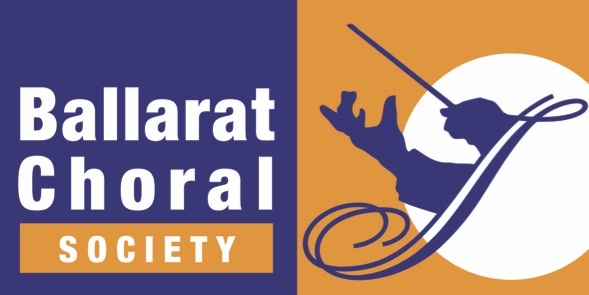 Choristers pay a membership subscription of $60 per concert, and new members also pay a $10 joining fee, which covers the cost of rehearsal venue hire, professional rehearsal accompanist, music hire or purchase and the intangible benefits of excellent music and vocal group tuition from our highly experienced Musical Director. Singing of this kind – whether participating or in the audience – is incredibly good for your mental and physical health. If you’d like more information, please contact us to find out more via our website or via email.